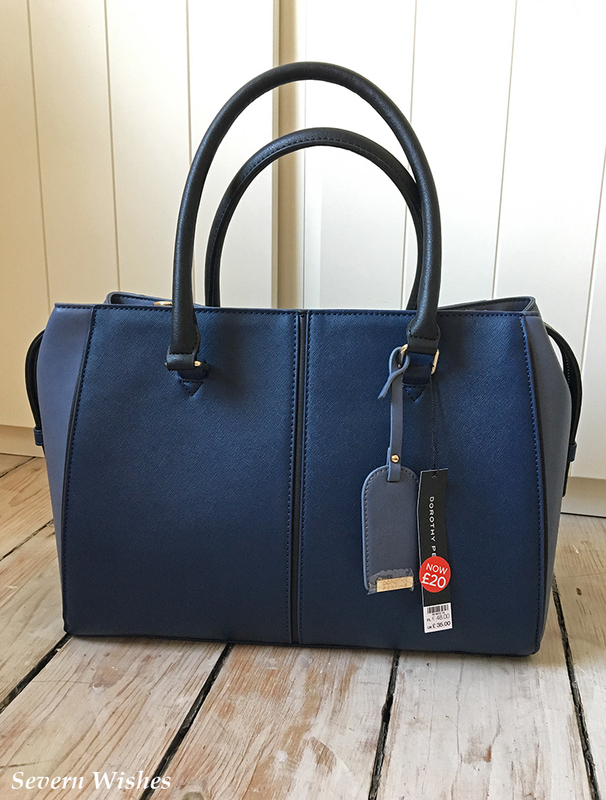 On a recent trip to Dorothy Perkins I came across a gorgeous large hand bag, and some beautifully coloured suede boots in the Spring sale. I liked both so much to buy them so I thought I would review them for you. 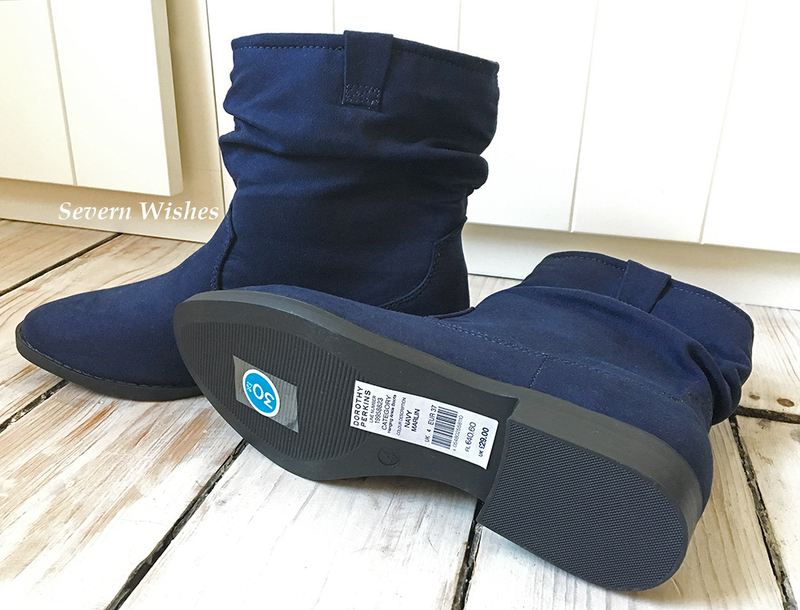 The boots have a slight heel and decent grip on the bottom. The stitching details are simple but I really like the shape around the front and the ruched ankles to them. The colour is a strong navy blue shade, with a black base. They would compliment skinny jeans well, or a pretty summer dress if you can match the blue. I got them with 30% off in the sale, they were usually £29.00. The hand bag is a lovely design, it has a main zipped pocket which has two additional slip sections inside it. Plenty of room to be a large bag for long days out or even an over night bag in the summer. It has decent sized shoulder straps and also contains metal loops sowed into the top, an additional long strap that can be used as a shoulder one. 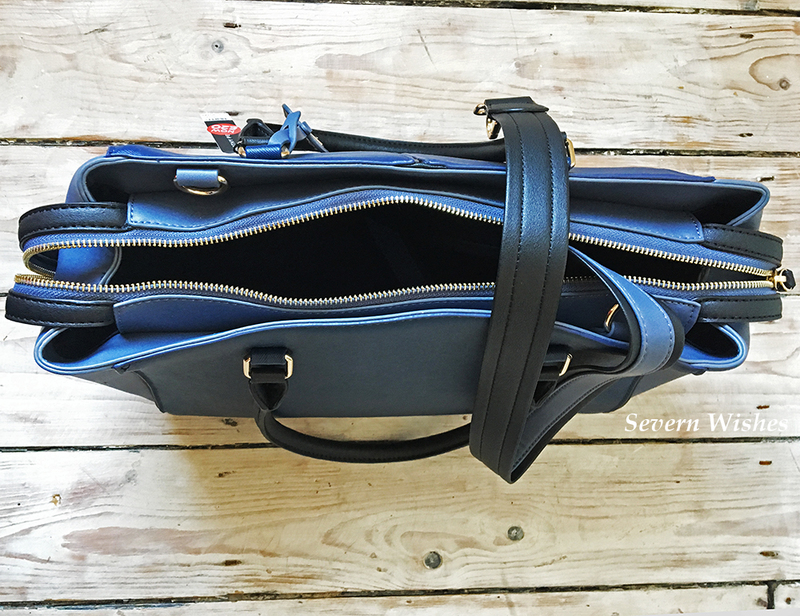 This handbag has a variety of navy blue shades in both the straps and the panels, the block colours compliment one another and gives the bag an illusion of being even larger than you’d think. It even has a cute little luggage tag detail. I do wish there was an extra zip pocket instead of one large area inside, but it’s an excellent bag and I’ve already used it several times. I got this in the sale at £20.00, but it would usually be priced at £35.00. Over all I am very happy with both of these items. 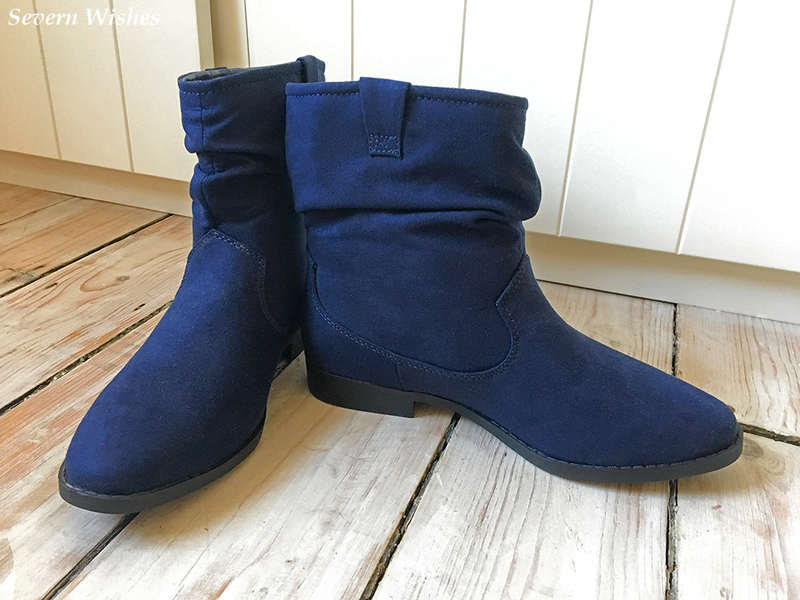 I loved the choice that was available at Dorothy Perkins as well, all the shapes and colours of boots, lots of good sized bags to choose from too. Until the next time I decide to go shopping, thanks for reading this review post. 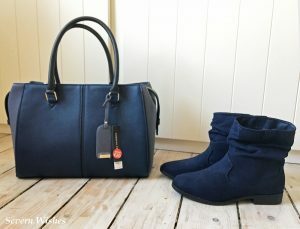 This entry was posted in Accessories, Dorothy Perkins, Fashion, Footwear, Handbags, Reviews by Sabrina. Bookmark the permalink.